Quinoa (“keen- no- wa”) is one of my favorite foods is quinoa because not only is it good for you, but because it can be cooked and prepared in so many diverse ways. It is sort of like a chameleon in the way it can be prepared simply as plain to a flavorful sauté. It can be baked and served both hot and cold. It is gluten-free (because technically it is a seed) and it is as easy to prepare as rice. 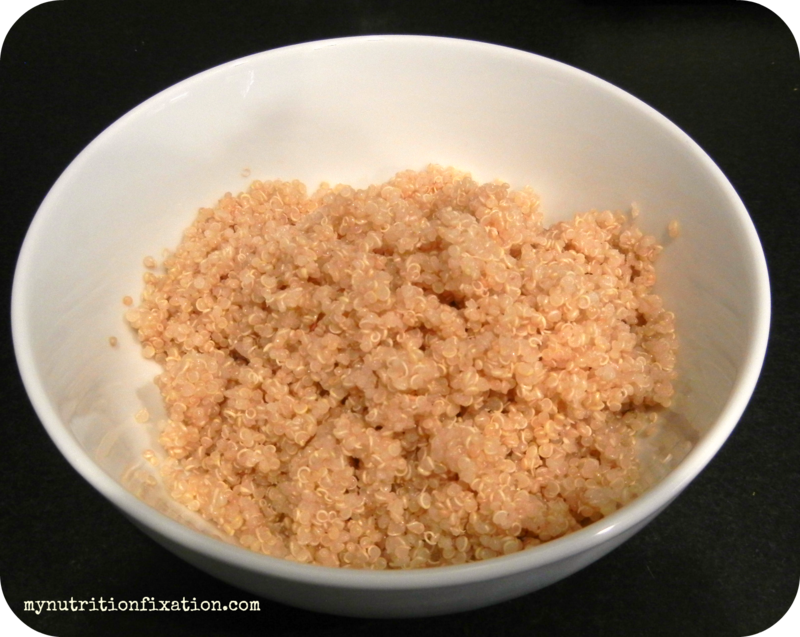 One cup of cooked quinoa contains about 8 grams of protein and 5 grams of fiber. Today I prepared it with asparagus and chia (“chee-ah”) seeds to increase the fiber and ALA omega-3 fatty acids. 4-5 asparagus spears, steamed and chopped. 1 Tbs. crumbled reduced fat feta cheese. Add 2 cups a water to a medium size pot. Add the 1 cup of quinoa (note: 1 cup uncooked quinoa yields about 2 1/2 cups cooked quinoa). Add a dash of salt and ½ Tbs. of olive oil. Bring mixture to a boil (about 5-8 minutes) and then immediately bring down a low heat to a simmer. Place lid on top and simmer for about 10 more minutes. 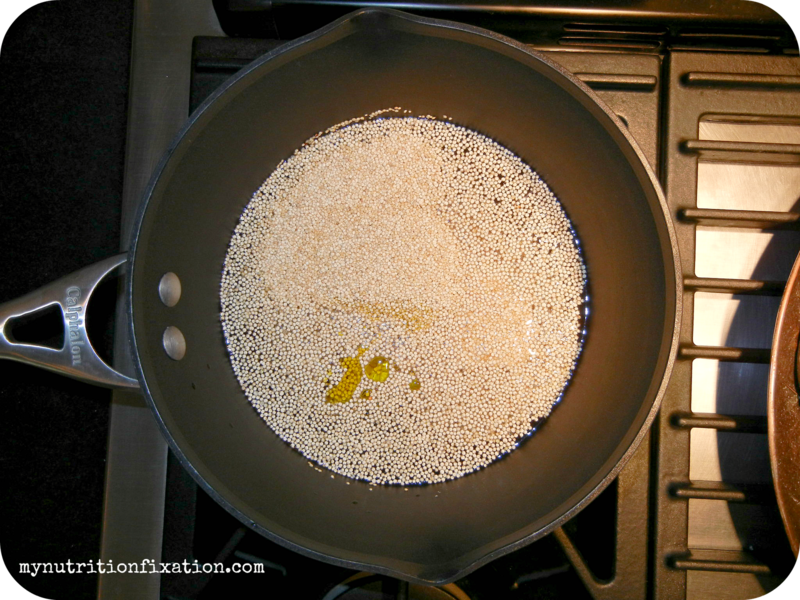 As soon as the water ratio is down to about 10%, fluff quinoa with a fork and place the lid back on for about a minute. Shut the heat off completely and fluff quinoa one more time. Leave the lid on and let the quinoa cool for a few minutes. 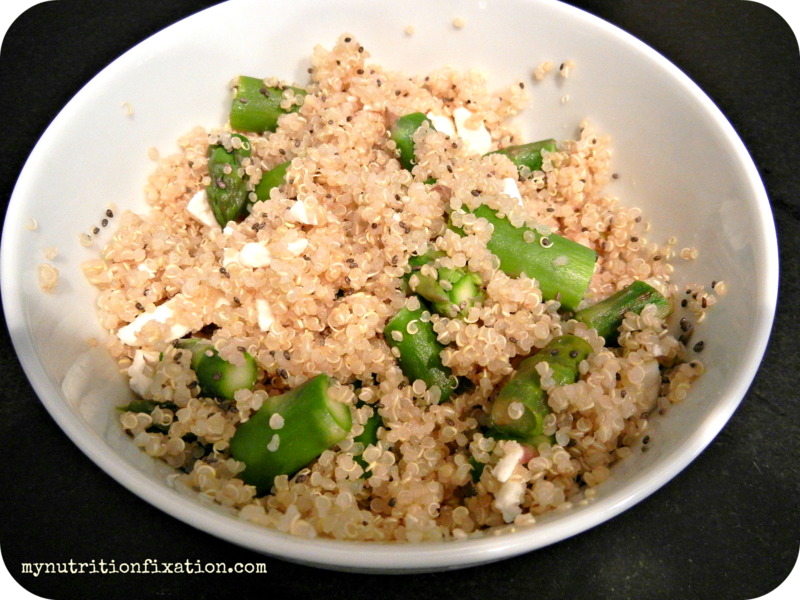 In a bowl, add one cup of cooked quinoa, the rest of the oil, the chia seeds, asparagus, feta, and lemon juice. Mix all the ingredients together. Serve hot or cold and enjoy!